Do you yearn for the simple, old school driving thrills of a Mk1 Volkswagen Golf GTI, but also want a car that's built in the 21st century and comes with, y'know, a warranty? Of course you do. Volkswagen has just the car too—as long as you don't live in America. 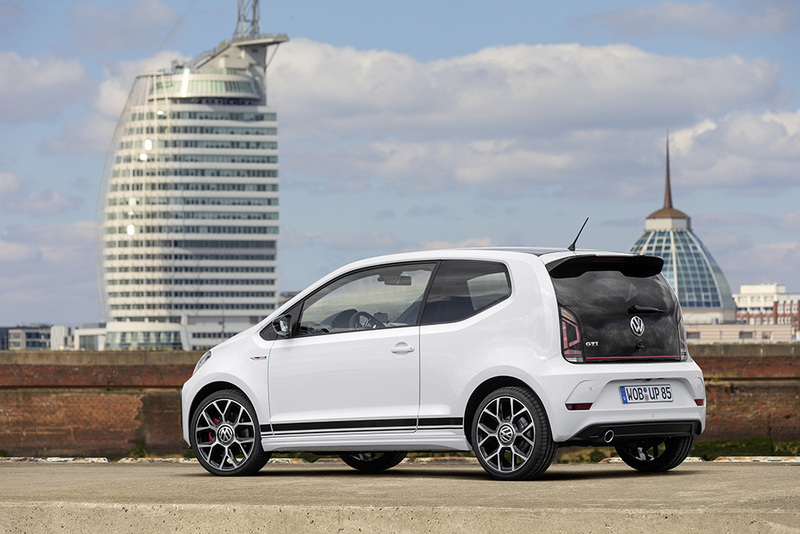 Volkswagen has unveiled today the Up GTI (officially stylized as 'up! GTI', but we're just gonna call it the Up GTI from here on out, thank you very much). 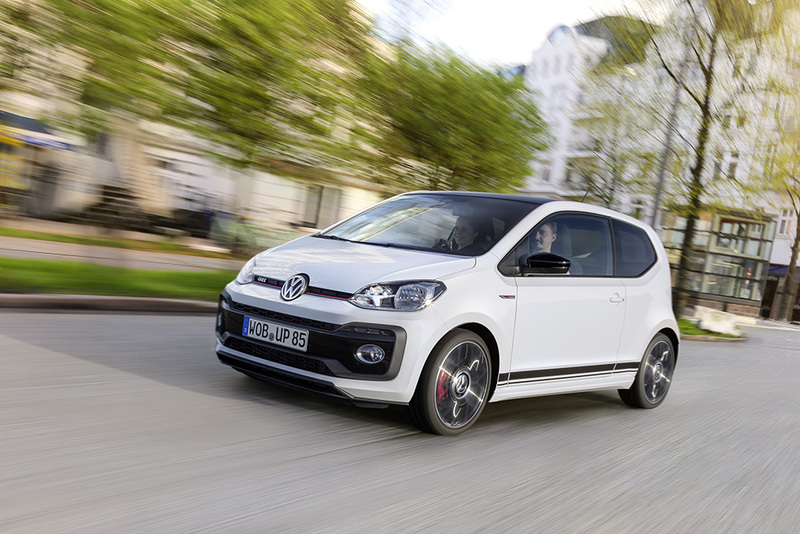 As you've probably already gathered, it's a hot version of VW's Up super compact city car and the German automaker is touting it as a tribute to the now-legendary Mk1 Golf GTI. Which makes sense when you consider that the Up GTI features similar dimensions and power to its 40-year-old ancestor. The new car produces 115 hp, taking it from 0-62 mph in 8.8 seconds hitting a top speed of 122 mph. The OG GTI from 1975 was good for 110 hp, a nine-second sprint to 62 mph, and a maximum velocity of 113 mph. Lining the Up GTI and a Mk1 Golf GTI side by side, we really get to see the effects of model bloat. A car that's considered miniscule on today's roads is just slightly larger than a Golf from four decades ago. The Up GTI, then, carries on the mantra of lightweight, no frills, sporty, red-striped hatchback motoring kicked off by the Mk1 all those years ago. As similar as the two cars are, the Up inevitably comes with modern car hallmarks not seen in the Mk1 in order to keep up with safety and emissions requirements. The new car is turbocharged, for example, and weighs 2198 lbs. Pretty damn light by today's standards, mind you, but because of tougher steels and more airbags, quite a bit heftier than the Mk1 who tips the scales at 1785 lbs. The VW Up GTI (aka up! GTI) will make its debut in the flesh at the massive Lake Wörthersee GTI meet scheduled for May 24th to 27th. The car you see above is still technically a concept, but should look pretty much like the production version coming early next year. Unless you live in America, in which case, it'll be coming... probably never.